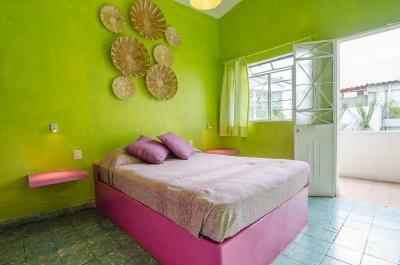 Lock in a great price for Casa de Don Pablo Hostel – rated 8.3 by recent guests! 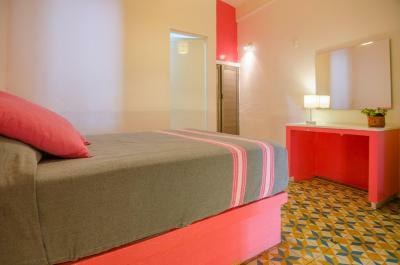 The location, price for a two bed private room, the fact that I could easily pay with a credit card. The free breakfast was simple but yummy and it was nice to have breakfast with the other guests and hear their stories. We didnt spend a lot of time on the roof but it looked like an excellent place to have a beer. 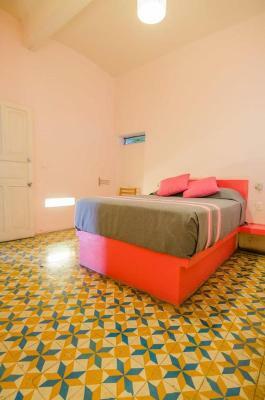 Nice terrace, good breakfast, comfortable beds and reasonably equipped kitchen. Just a few blocks from the centre of town. Garden/breakfast area is nice. One night i forgot my sweater and bag and the staff kept it for me in a safe place. 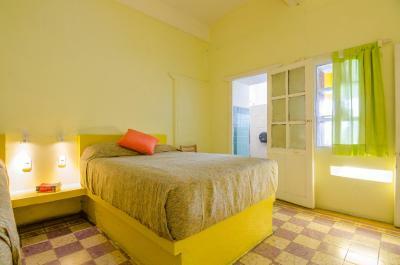 The hostel was close to the “20 de noviembre” and Benito Juárez markets. It was also close to a FedEx Shipping Center. The breakfast was plentiful and with enough options. It was a 10-15 minute walk to other cites. 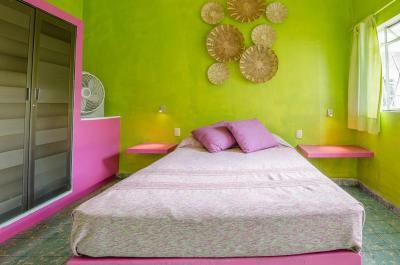 I would stay at Casa de Don Pablo again in a heartbeat. 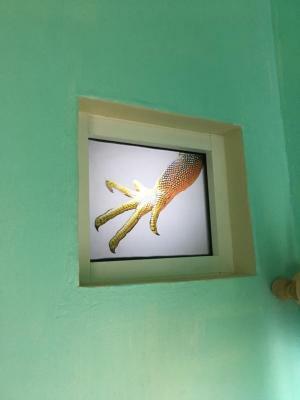 Over the course of our two weeks in Oaxaca, we stayed here twice, at the beginning and end of our trip. 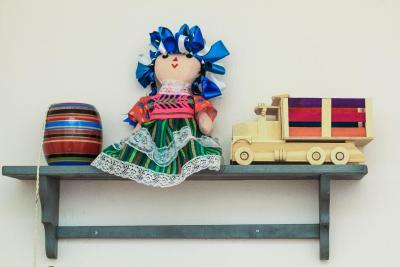 Located in the heart of Oaxaca Cento, only blocks from the Zocalo, you're right in the center of everything, and most locations are very easily walkable. The free breakfast is excellent and a great way to save on food., the staff are friendly and endlessly helpful (Mario helped us to find transportation to Hierve el Agua and Puerto Escondido). 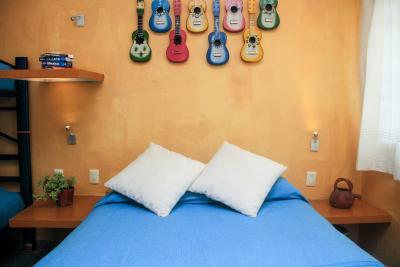 The rooms are cleaned and beds made daily. Please do yourself a favor and stay here! Breakfast was wonderful. Love the homemade jam. Roof was amazing. Single room if I stay there again. The staff were really friendly and speaks English. Breakfast was good. Nice outdoor area with tables and free bikes to rent and couches to sit on. I would return here. The staff was very friendly and willing to help. I liked the breakfast. Comfortable and cozy. 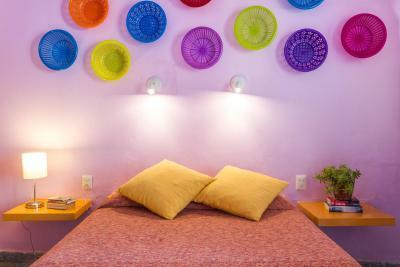 Casa de Don Pablo Hostel This rating is a reflection of how the property compares to the industry standard when it comes to price, facilities and services available. It's based on a self-evaluation by the property. Use this rating to help choose your stay! 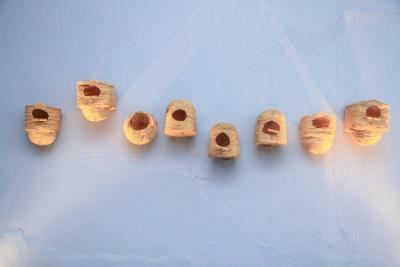 One of our best sellers in Oaxaca City! 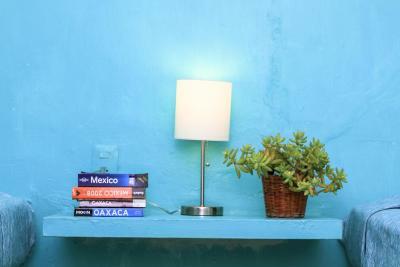 Offering an outdoor dining area, a small garden and balconies with seating area, Casa de Don Pablo Hostel is located 5 minutes’ walk from Oaxaca main square. Free Wi-Fi is available throughout. 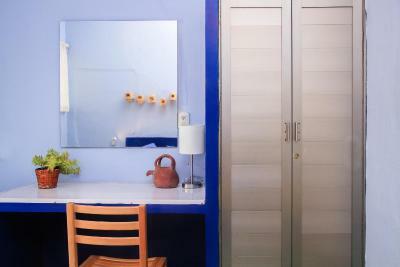 The rooms feature simple décor, lockers and either private or shared bathroom. Guests are free to use board games and a communal kitchen. They can as well exchange books and enjoy the TV lounge. 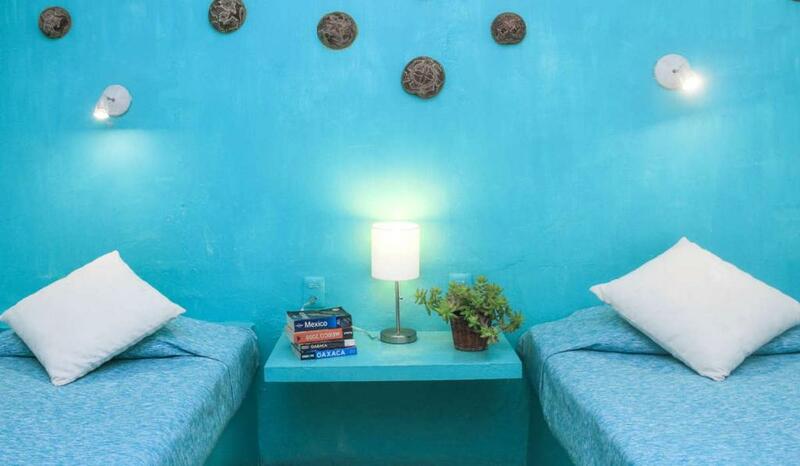 This guest house offers complimentary continental breakfast and a coffee. The restaurant area and markets is 10 minutes’ walk away. A mini shop on site offering toiletries and a computer room are featured as well. Touristic places are available for an extra cost. 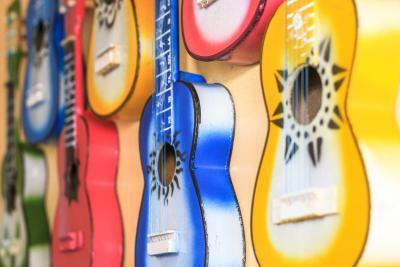 Casa de Don Pablo Hostel is 2 minutes’ walk from El Pochote Organic Market and 5 minutes’ walk from San Agustin Church. 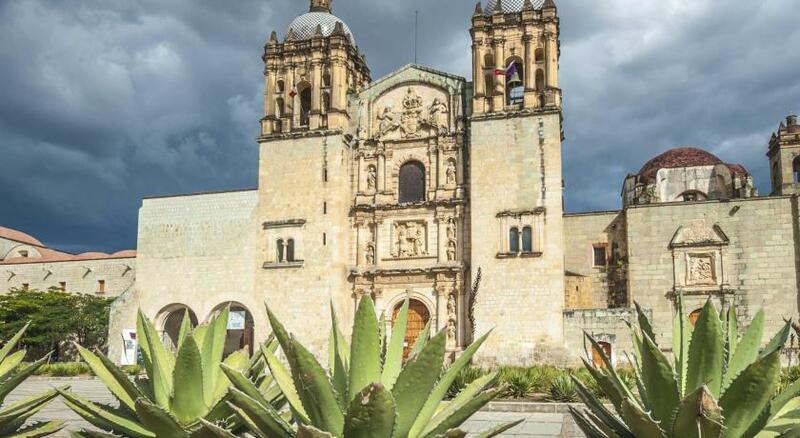 Oaxaca International Airport is a 25-minute drive away. 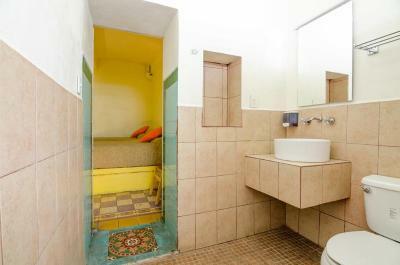 뀐 Located in the real heart of Oaxaca City, this property has an excellent location score of 8.6! 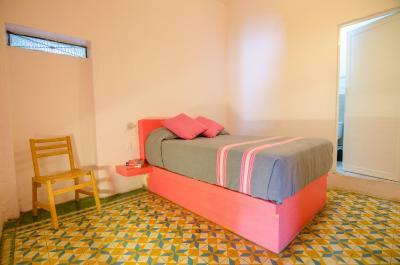 When would you like to stay at Casa de Don Pablo Hostel? 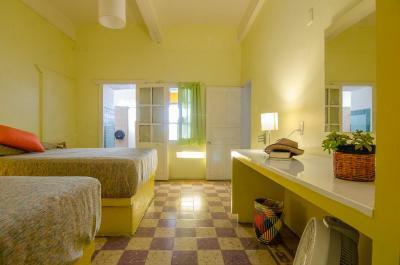 This dormitory room features Oaxacan-style décor, lockers, free WiFi and shared bathroom. Guests can have access to the communal kitchen and the TV room. 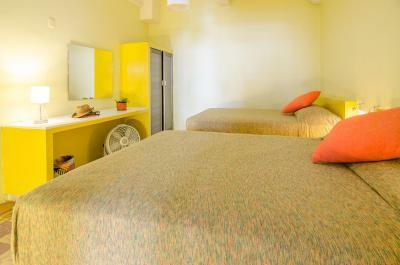 This room features lockers, free Wi-Fi, simple décor and shared bathroom. 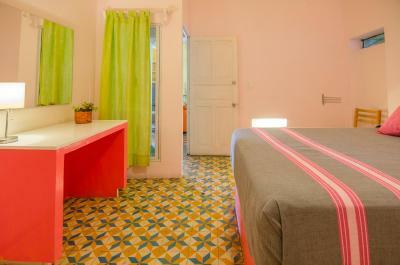 This female dormitory room features Oaxacan-style décor, lockers, free WiFi and shared bathroom. Guests can have access to the communal kitchen and the TV room. 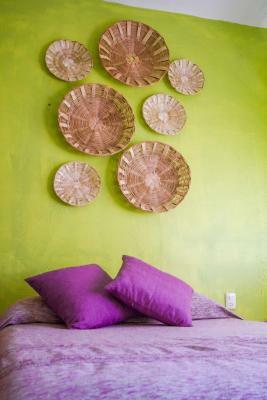 Nice resting time, friendly breakfast and a warm welcoming are something you can get at Casa de Don Pablo hostel. You cannot miss it! 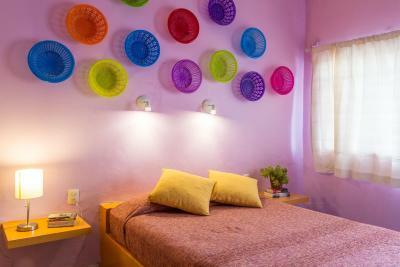 When coming Oaxaca, make our hostel your resting place to enjoy and explore the spotlights in the city. 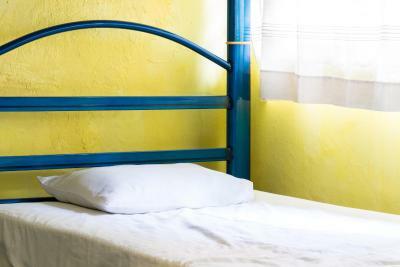 We have a comfortable choice of lodging: private rooms en suite or private rooms with shared bathrooms and 4 bed and 10 bed dorms and female dorms, all of them with locker, fan, comfortable mattresses, you will have a nice sleeping experience. 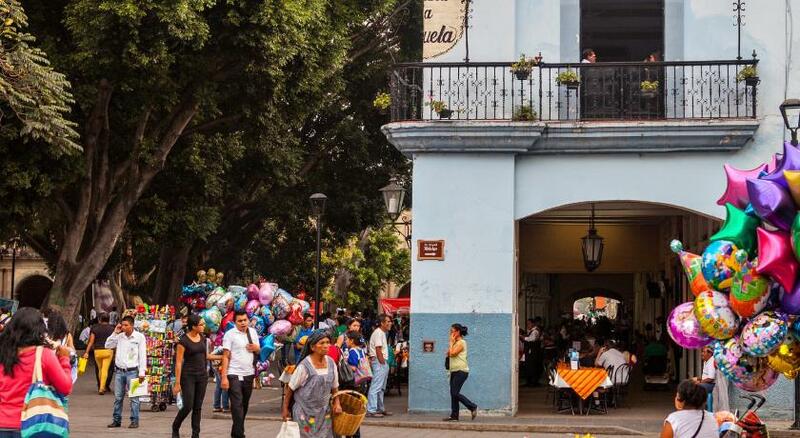 Casa de Don Pablo hostel is also well located in downtown, some minutes walking from bars, galleries, colonial spots, museums, parks, coffee shops, markets and more. Just walk some steps and enjoy the city! Our breakfast is a complimentary; you can try some eggs, toast, turkey ham, coffee, milk, cereal, house made jam and fruit. There are markets nearby to buy groceries for cooking by yourself in our well equipped kitchen. We also provide WIFI, tours, touristic information and a big smile. 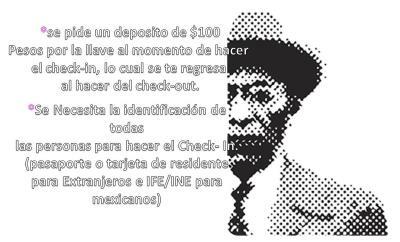 When coming to Oaxaca, just join us! Be a happy traveler! Be a happy backpacker! 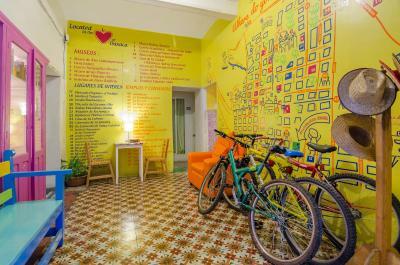 House Rules Casa de Don Pablo Hostel takes special requests – add in the next step! 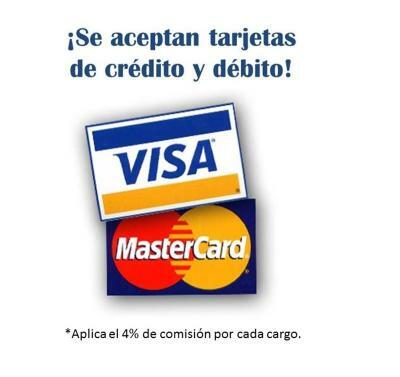 Casa de Don Pablo Hostel accepts these cards and reserves the right to temporarily hold an amount prior to arrival. The breakfast was excellent! The bed was comfy. The rooftop was great. The location was good. Breakfast and outdoor terrace lovely - albeit cold in the morning with no sunlight. Manager/owner was very rude on arrival - not welcoming at all. Pictures of place looked better than reality - many guests mentioned the same thing. Towels and bedding in need of replacement - felt groggy and dirty. The pictures aren’t an accurate representation of what the hostel looks like now. Definitely more grimy. 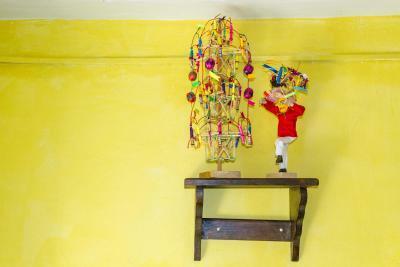 The hostel is quiet and not social, so it wasn’t good for meeting other solo travellers. Breakfast was very simple compared to what I’ve had offered at other retreats. As well, the location is a little farther south than the central area. A local told me the area wasn’t as safe as central. I would say it’s not with the money. You can get cheaper hostels in a better location and better facilities. Also, don’t book a tour through the hostel. I paid more than 100 pesos compared to other people on my tours that booked with someone else. Staff at the front desk were nice. In all honesty, the showers were bad. One of them had no water pressure, and the other one was either scalding hot or freezing cold; no inbtween. The beds were very comfortable and the breakfast was delicious. I also liked the sun terrace on the roof to lounge on. 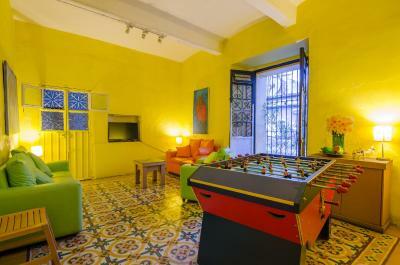 The hostel is in a good location as well, there’s a lot of really great options to eat around there. We unfortunately had a bit of a poor check in experience. We had booked and fully paid for a 1 night stay, but the lady who was checking us in wouldn't accept that it had been paid even though I showed her the receipt of full payment on the booking.com app as well as email confirmation. After about 5 minutes of convincing she finally checked her own computer and agreed that yes we had paid in full. Yet she just laughed and didn't apologize?? Also the day of check out we asked where the best place to catch a taxi from to take us to the main bus station, she said no worries I'll call one, then they proceeded to charge us double of what we paid the previous day on the way in? I think this is extremely poor practice. The accommodation is stunning I couldn't fault the decor it's beautiful, in a great location and very quiet with a fantastic shower. Just one shower in the second floor. With a lot of guests you need to get up early! The location of our room, albeit we stayed for 1 night, was beside the kitchen and bathrooms on the ground floor. Had it been 1 floor up, it would have been perfect. I stayed in a private room with a shared bathroom over the Christmas holidays. Everyone was helpful, it wasn’t too noisy even though it was fully booked. 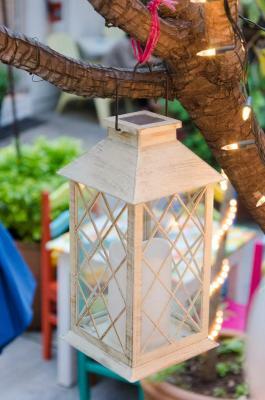 I thought this was a great option for privacy and value! They are well located, close to great markets, close to everything really. Comfy beds. Probably very quiet here during the off season. Only place I stayed at with breakfast my entire trip. The breakfast was awful - but don’t let that put you off! A lovely little find. 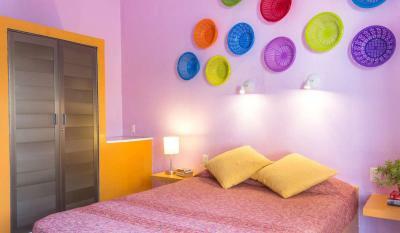 A gorgeous and well decorated place with all amenities you could need! It’s a little further out of town that I’d like but really only 5 mins walk to the textile museum and 10 mins to the zocalo/markets. Toilet and shower facilities got very crowded in the morning and didn’t have much privacy. This wasn’t a problem for us as we had our own bathroom. 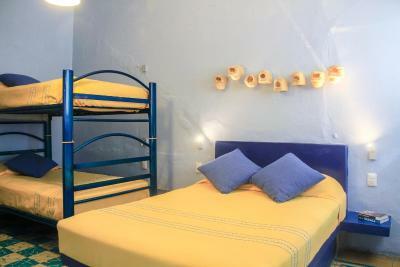 A friendly, well located and clean hostel. Our room was clean, and there was hot water. Breakfast was good and sufficient. We really enjoyed the patio and the roof terrace. In the dorms were no shelves at the beds to put your small stuff.. No ventilation in 10 bed dorm.. If it's full you'll probably wake up with a headache.. To cramped and tight inside.. Locker area isn't organised well.. Little bit unmaintained.. Very homy. Cheerful stuff. Bed's quite comfortable. Quite. Rooftop. Well equipped kitchen.